Ahoy! 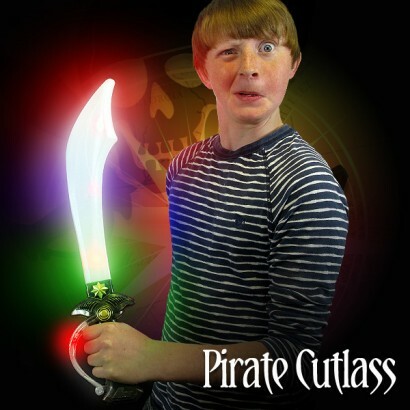 No swashbuckling adventure is complete without a pirate cutlass and this pirate cutlass is more impressive than most, packed to the hilt with colourful LEDs! 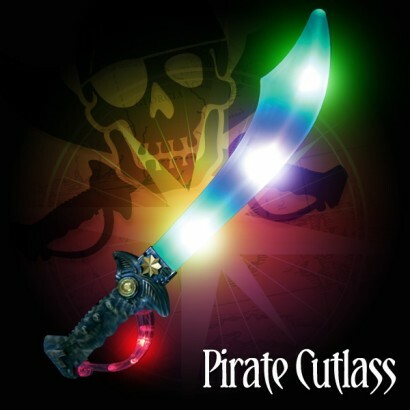 The blade and the handle of this traditional styled cutlass light up with spectacular colour change effects that will impress even the most cynical of salty sea dogs packing a massive visual punch!